Osmanthus Tea displays a golden color after roasted. 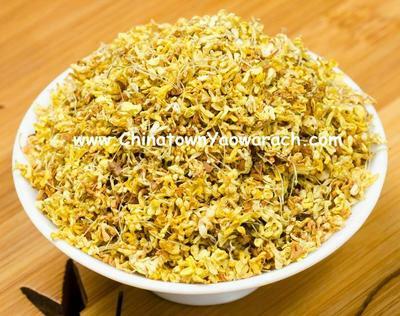 The tea leaves are sizes of rice grain and has a strong sweetness in scent. The liquid is a golden shade and the aroma lingers for long period of time.